Gary and his team did a great job designing and installing our kitchen. The level of service was excellent from start to finish and the cost was extremely competitive. Couldn’t recommend Red Leaf highly enough. Red Leaf recently designed and arranged the installation of my new kitchen. Gary made the design process easy and the 3d CAD image was easily amended to make any changes. Gary was always available to answer any queries and the rest of the team done an excellent job; Frank Murray plastering, Simon Adams the fitter, Raymond the plumber and Rodney the spark. If you are thinking of a new kitchen I would 100% recommend Red Leaf. We were let down badly by the local kitchen company in Bangor who looked so professional but who did not reply to emails when we needed to finalise the project. So with just weeks before needing our new kitchen, we found Red Leaf Kitchens. We have very high standards, and from the outset we were impressed. Gary was attentive and responsive and had a quote and design to us and on the budget in less than 24 hours. Gary made several site visits before the installation to make sure everything would go smoothly. Then Simon came and did a fantastic job fitting both our kitchen and utility rooms in 2 days to a very high standard, in fact, his standards were higher than ours. The rest of the team were equally professional; we can’t recommend them highly enough! We had a near miss with the other kitchen company who by ignoring our emails sent us to the best, Red Leaf – use them; you won’t be disappointed! Excellent service ,love our new kitchen ,very high quality ,great design .The manager Gary was always available when we wanted to ask any questions ,nothing was ever too much trouble,quick and efficient service always .All the team were reliable ,their work was of an extremely high standard, would highly recommend Red Leaf kitchens .Thanks to Gary and all the rest of the team. Red Leaf recently designed and coordinated the installation of a new kitchen. The CAD image was like looking at a picture of the finished kitchen. It made the design process much easier and was definitely worth spending time on this with Gary. Only high quality materials and products were used. Gary was always available on the phone and the rest of the team were brilliant; F Murray Plastering and Building, Boyd Electrical, Leonard (Plumber) Abbey Tiles, Richard Wallace Tiling and Alfie who fitted the kitchen. 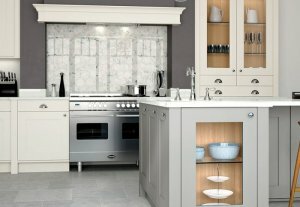 If you are thinking of a new kitchen I would recommend Red Leaf. From start to finish my experience with Red Leaf has been a very pleasant one I would recommend them to anyone, brilliant tradesman no messing around, they turn up when they say they do. We are very pleased with the outcome and satisfied with the overall product no complaints fantastic company. Very friendly and listen to your needs. Me and my wife recently got a new kitchen fitted by Red Leaf, and we are over the moon with it. The planning, design and over seeing throughout by Gary was second to none. The fitting by Mitchell was excellent, very neat and particular. Being an electrician myself i am always a bit jubious about others working in my house, Mitchell quickly put this at ease after seeing the work he had done in the first few hours, he clearly takes pride in his work. From start to finish a very smooth and stress free job was done. Gary was always on the end of the phone throughout with any questions i had. Thanks again for the great job and i highly recommend yous to anyone thinking of a new kitchen. Excellent service from Gary and Marshall who fitted our kitchen! Plus all the extra help from electricians and plumber. Professional, accommodating and friendly! Nothing was a hassle. Have already recommended these guys to a few people. Cant thank you enough guys. Excellent professional kitchen service! High quality material, expertly fitted on time and efficiently. The whole service, electrician, plumber, plasterer and fitter were skillful, tidy and did a brilliant job. I would highly recommend Red Leaf Kitchens. A good job, well done. Many thanks.